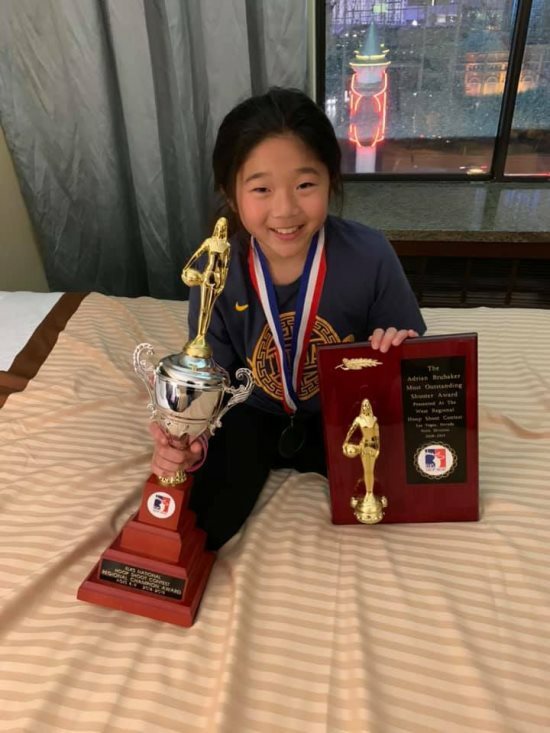 Jenna Chan of Moraga is one of 72 of the nation's best free throw shooters ages 8 to 13. Jenna's hard work and dedication have taken her from Moraga to the Elks Hoop Shoot National Finals in Chicago. 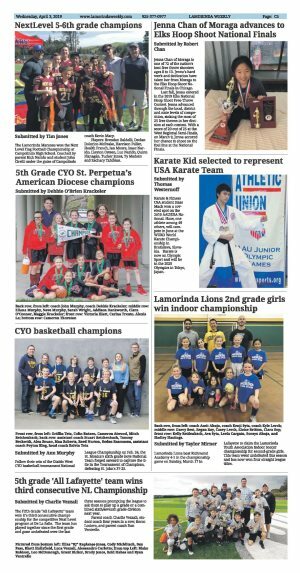 Last fall, Jenna entered in the 2019 Elks National Hoop Shoot Free-Throw Contest. Jenna advanced through the local, district and state levels of competition, sinking the most of 25 free throws in her division at each contest. With a score of 20 out of 25 at the West Regional Semi-Finals, on March 9, Jenna secured her chance to shoot on the foul line at the National Finals.